I made my own version of an invitation I saw online using some clip art and a Hunger Games font. There are birthday parties and there are birthday parties. I tend to go over board with each but if I have a theme and I want to incorporate food into that theme well, watch out, momma is going to be out of commission for awhile because she is going to be crafting and baking up a storm for a few weeks. And so it was with my oldest and her Hunger Games themed 10th birthday (and promotion, since her birthday fell so close to the end of her school year and now she’ll be off to middle school). Also, this party was going to be big because we would be including friends as well as family. As per usual, it all begins with a Pinterest board. This allows me to have a place to compile overall party ideas, decoration ideas, game ideas, food ideas. Then I have to decide between what I want to pull off as opposed to what I can pull off. Lists help me accomplish all of this, crossing off and adding and crossing off and adding some more till I get a halfway concise idea of what is going to happen for the party. The most effective yet simplest craft EVER! So it began that I decided to make the food for the party so as to have it more in the spirit of the book. I figured that I would find some crock pot friendly recipes suited to my needs. I also knew that I would be making TONS of bread so I needed recipes that I could freeze well either before or after baking. I found two great ones! One I adapted a few different ways to make “different” loaves (white whole wheat, white, mixed flours and one with wheat bran sprinkled on top). I’ll post it soon. I make it often but I wanted to get it down and messing with all these variations helped me with that. The other I follow just as directed because it is spectacular and may be a new candidate for Justin’s Sandwich Rolls! I also made these because it came with three variations on the same dough and the dough kept for four days in the refrigerator. I wanted lots of different ones because bread (including various breads from all the districts) features prominently in the book. The make ahead dough and breads really made the whole thing I was going for possible. I served the sliced french bread with goat cheese mixed with basil, goat cheese with sliced apples, and butter for my appetizers. I also put out the different refrigerator rolls. For dinner, we had shredded beef with rolls and Beef Stew over brown rice or homemade mashed potatoes. We had “Berry Mush” (vanilla berries, recipe soon!) and a green salad as well. Most of the ideas for the food I got from Fictional Food. Some I wanted to make like the goat cheese and apple tarts but I didn’t have time and others I wanted to put out like the hot chocolate and bread for dipping (seriously some Mexican hot chocolate and pan dulce is PERFECT for that, right?) but it was a very hot day. I did make some Mellark’s Bakery Cookies but added some spice to them because in my mind the overall ingredients in District 12 would be subpar but a little bit of spice would hide it. I would have included the recipe in this post but of course I forgot to take pictures of them. I changed the whole wheat flour to 2 cups and the all purpose to 1 1/2 cups. Then I added 1/2 teaspoon of cinnamon and 3/4 teaspoon of pumpkin pie spice (mostly just because I couldn’t find my nutmeg, otherwise I’d have blended a mix of my own). I really liked them. They came out like a lightly spiced version of a spice cookie. Now, the cake. My daughter was VERY specific about the cake she wanted. I never really knew she was a fan of my whipped cream frosted cakes but recently we had one with banana in the filling as opposed to strawberries. I guess she liked it because, even knowing her theme and realizing that her poor momma would have to try and “tie it in” to everything she picked a whipped cream cake with strawberries and bananas in the filling. So what I came up with was to try and use banana and strawberry garnish to evoke fire or flames in some sort of way to tie it all together. I even added a few buttercream “flames” that I used on the cupcakes I made. Those were inspired by Erica’s Sweet Tooth Hunger Games cupcakes. Onto the games, well we didn’t exactly have a reaping. It was more of a raffle with their name entered once for being there and once for every game played. I hung a small hula hoop that they tried to throw foam “spears” into and later slingshot some water smoosh balls into. We also did a water balloon toss since it was so hot. The games I sort of winged it on because I was mainly focused on the food. I just bought a bunch of stuff I thought I’d be able to use and it worked out pretty well. The winner of the “reaping” won two prizes that were left over and one of two bow and arrow sets. The next winner was my daughter who won the other set. I had also bought six silly string cans and gave three to the runners up of the other games and then picked three more names for the other silly string cans. The kids liked those parts the best I think, when we let them loose with the silly string and the rest of the water balloons. My uncle picks up our pinatas for parties and I might have mentioned that if he found a mockingjay pinata that he’d be “the best uncle ever” so he and my aunt customized this one for us. Pic courtesy of my dad. One site suggested a Capitol Makeup table. I went one step further and set up Capitol Fashions. I used every useable (and takeable) piece of dressup paraphenalia that we had and also bought a few more masks, funky glassses, some mustaches, hats and new dollar store makeup and let the kids go to town. Another site had a Sponsor Gift table idea that I liked as a favor table and I just put out simple cheap stuff that might be usable in the games like band-aids, tissue, braid-holders, trail mix, compass rings, and some homemade bookmarks along with the Mellark bakery cookies. Both tables were near each other and that was helpful since I wanted our guests to take home gifts from both. Our Sponsor Gift table and Capitol Fashions table. Pics courtesy of my dad. As for GeekyLinks, I am all linked out. I’ve spent two weeks in a Hunger Games birthday party haze and I need a rest. However, if you have any questions about anything I made for the party that I didn’t directly link to, please ask. Most of it should be on the Pinterest board though. Posted in Appetizers, Baking, Bread, Cake, Chocolate, Cookie, Cupcakes, Family, Food, Fruit, Movies and tagged Hunger Games, Hunger Games Bread, Hunger Games Food, Hunger Games party ideas. Bookmark the permalink. Angry Birds Party anyone? All party photos courtesy of my dad. When my husband and I discussed what we would do for our son this year, the word was always “something small”. We even discussed *gasp* not doing something but my aunt and grandma wouldn’t have it (even offering to make food). I mean we did that whole football themed party last year with family and friends with all the Super Bowl type goodies that I made where I hardly got any sleep but still had a good time and managed to pull it off. And even though it ended well, that is not what we were going for this year. We even thought Chuck E Cheese and back to our house for cake and piñata. But then I thought, if I still have to clean up house for guests we might as well just have the darn thing at home again but just invite family. But therein lies the conflict. My kids, my sister’s kids, my uncle’s, my nieces…our small family party not including a new baby cousin is already 9 kids. I love it and I hate it. I hate eliminating friends too because that means most of my husband’s side because his side is only friends because his dad’s family lives in Texas and his mom was an only child. Suffice to say my husband’s upbringing was way different than mine with my mother’s four siblings and my father’s thirteen (who, sure we don’t get to see ALL of lots, but even split up into smaller nuclear family groups that we see more often still adds up to a lot of people). I got this idea from Sesame Street faces I’d seen done in veggie and fruit form. For the veggies I just used ranch dip but I will post links at the bottom of the post for the fruit dips. So we didn’t have family friends THIS time (which adds about 9 more kids) but speaking of my dad’s family, I was so blessed to have my cousin and his wife come to the party. They live several hours north of us and were down south for the usual sights with his wife and kids. We were going to meet up but then I invited them to Bob’s birthday instead hoping they’d come and they did. There are a handful of cousins that live up north that I would say I am close to and my cousin Robert is definitely near the top of that list. We married weeks apart, we both have three kids, and his wife is just as much my cousin as he is. So the addition of them was fantastic and I like it when my mom’s family gets excited about seeing some of my dad’s family. I always did, even back before my mom passed and even when they were still married. It feels like that is what family is supposed to feel like (to me anyway)…BIG. Got the idea for the Angry Birds Cupcakes from thecraftingchicks.com. I came up with the black ones on my own. It was my husband’s favorite! So while I complain about the work, it is always worth it. Where we cut back was regular food. We went with Costco pizza and salad. Way less work, and it made for a happy host. This was my last chance for something small too. My husband and daughter who usually celebrate together had a smallish one last year so I think we are going a bit bigger this year. Then we are going to combine my oldest with her middle school graduation so…even bigger. I don’t know if I’d have it any other way…or if I could?! My GeekyLink for this week, I had bookmarked awhile ago but hadn’t read through it till today. Oh my goodness, this list of Free Stuff from NASA will provide hours upon hours of fun for my 9 year old! They have paper models with instructions! She had asked for big kid legos for Christmas and Santa obliged. She even bought a set herself with Christmas money. She is beginning to get into experiments. So I think she could get into the idea of a paper model. Especially if I make it clear she could work uninterrupted for most of it. There are links to free printable posters. She’d love them. I need to go back and look at the lists of apps and audio files that you can make into ringtones. The dip that I made for the strawberry Red Angry bird with blueberries for eyeballs and eyebrows and grape kiwi snouted Green Pig was a Brown Sugar Fruit Dip from Half Baked. I found it pinned as a cheesecake fruit dip so I thought it was perfect for the strawberries. For the pineapple Yellow Angry Bird, I made this Coconut Cream Fruit Dip from Dessert Now, Dinner Later! This recipe was a revelation! I had never heard of using whipped coconut cream before. It was hard not to finish off the leftovers. While, both recipes call for Cool Whip I used homemade lightly sweetened whipped cream, just my preference. The Crafting Chicks link for Angry Birds Cupcakes that I loved! Can you believe I had every other chip in my cupboard except minis? I had to use individual jimmies for the eyeballs instead and poke them into the eyes of the birds. It worked. I used colored sugar on all of them. About those snouts…frosting a cut marshmallow is no easy task. All the leftover fruit and veggies that I only used a few of in making the faces, made its way onto extra platters so nothing went to waste. Posted in Appetizers, Baking, Cupcakes, Family, Food, Fruit, Parenting and tagged angry birds cupcakes, Angry Birds Party, birthday party, Birthdays, family, fruit dips, fruit tray, veggie tray. Bookmark the permalink. Sugar is not my friend. Well, let me clarify…sugar in a batter or a dough is my BEST friend but sugar on the stovetop? We have issues. Don’t get me wrong I love a good caramel, candy, brittle, or butterscotch but sometimes when you play with sugar you get BURNED. And if you’re like me (a little tentative about it because of accidents, wasted ingredients, and overall lack of experience) it can be a bit daunting. I went into this recipe with a positive attitude but I should have gone in with a more pragmatic one. 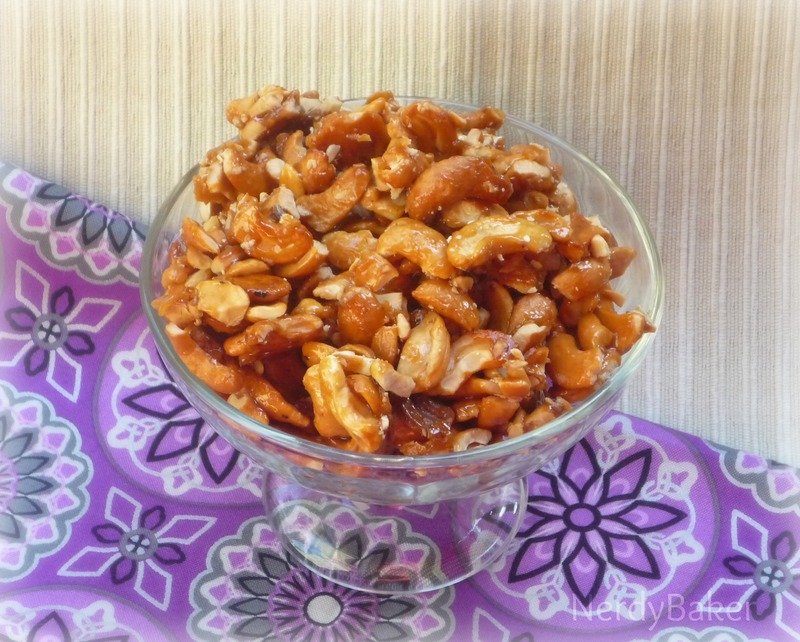 Pecans are expensive and even though I used this recipe as an excuse to buy the two pound bag from Costco (for all the holiday recipes!) I know my issues with sugar and should have halved the recipe just in case. Alas, I lost my first batch. I halved it the second time and even though I overlooked the sugar the teeniest bit nothing was lost and I ended up stress eating most of my pralines on Election Day. I made myself stop short of eating them all though because I hadn’t taken pictures yet (and my waistline thanks my procrastination). And I can take the rest to my daughters’ dance studio today ensuring I don’t eat them all. It wasn’t just anxiety that made me eat most of these pralines, they were pretty dang good too. I’ll be honest, once I made them I didn’t want to eat them because I was mad at the loss of pecans with the earlier batch. Yup that is right, I didn’t want to like them. I was holding a grudge. But, of course, they were amazing and once I started eating them I didn’t want to stop. How could I have doubted Joy? As always check out Bakeaholic Mama’s page to see what some of the rest of us have done with this recipe. And if you want the recipe, buy Joy’s amazing cookbook. One more note, we are changing our schedule to accommodate everyone’s increasingly busy holiday schedule. We are only going to make Joy recipes every other week for awhile, so no Sundays with Joy next week. Hopefully I can supplement and keep up a two post a week schedule but we shall see…fingers crossed! If you have or know little kids (okay, babies even) that can use an smart phone better than you and it blows your mind check out this GeekyLink. Check out what these Ethiopian kids did with NO instruction, not even open boxes! 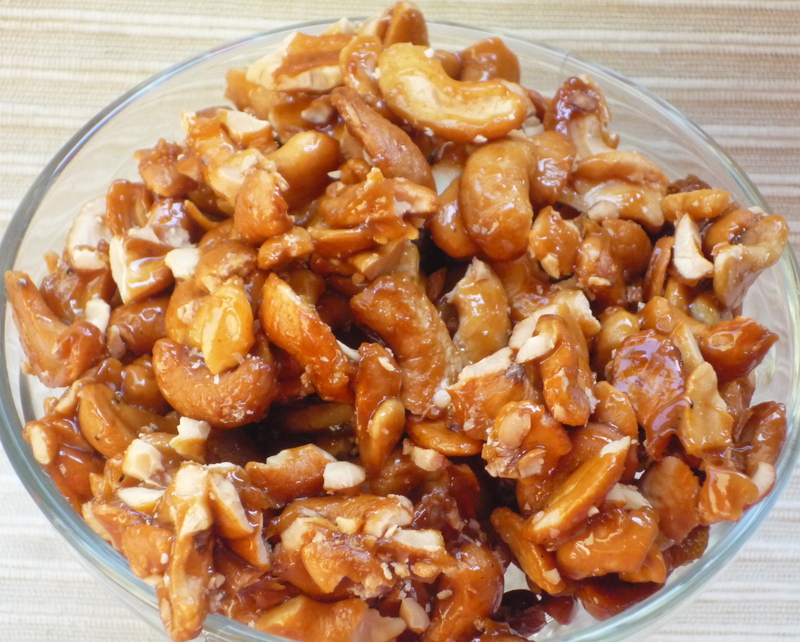 Posted in Appetizers, Candy, Food, Holidays, Sundays with Joy and tagged candy burns, pecan pralines, pecans, sugar, Sundays with Joy. Bookmark the permalink. Sorry for posting my Sundays with Joy so late but I didn’t get around to baking my cookies till Saturday. I got everything ready for the glazes. sifted all of the dry ingredients for my nephew’s birthday cupcakes, then took some time and went to my daughter’s soccer game. Once my brood and I returned home I went full steam ahead on my nephew’s cupcakes for his party the next day. Once those were done and cooling, I started on my glazes for the cookies. The house smelled AMAZING even in the early mixing stages. First off, just as a pumpkin cookie, I really adored them. I made some pumpkin cookies last year and I like how much better these came out. As far as the glazes, well, once I read that the “white” glaze was really a cinnamon glaze I knew I was going to like this cookie. The pumpkin, cinnamon, and chocolate go so well together that I can’t even describe it. Let’s try it this way…My son squished four rolls of toilet paper using a pack as a step stool to reach for his third (technically his fifth, his third with icing, only two were given to him, the rest were snuck but mommy sees everything). I only let him have that many because that was one less that I would eat. Luckily, the next day was my nephew’s party and I could share them. I also finished the cupcakes for my nephew’s party, a soccer theme. Can I just say that while I appreciate that the grass tip exists and I do use it, whoever invented it is a glutton for punishment. Twenty four grass covered cupcakes means my arms hurt for quite a bit. I also was out of my smaller icing bags and couldn’t get the pressure I wanted squeezing it out but it all got done and looked okay. I figured I’d pipe some lines on the cupcakes into a sort of field without it having to become a cupcake cake. It didn’t look that great but the kids liked it. I also made some flags for the corners using Joy’s tutorial on How to Make: a Cake Banner. Speaking of Joy, if you would like the recipe please buy her cookbook. You can also check out some of our group’s creations at Bakeaholic Mama. I don’t know if the piping could have been that much better though, being on top of the grass icing. Like the old school cupcake taker? I have way less casualties when I use a box like that. I have pastry boxes, and tupperware but they all come with more smooshes and falls. My GeekyLink for today is The 25 Most Devoted Fan Bases. I actually only claim about eight of these but it is mostly because they range from Oprah to Phish. I have to say that my guilty pleasure is #20. I have mentioned him before and have always been a fan but for many reasons lately I have found myself becoming a much bigger fan. Posted in Appetizers, Baking, Cookie, Family, Food, Sundays with Joy and tagged Black and White Cookies, Cookies, Pumpkin, Pumpkin Black and White Cookies, Sundays with Joy. Bookmark the permalink. Luckily for me this weekend offered me a small respite from our busy schedule. My daughter’s soccer game was early and out of town and although she lost we turned that into a positive by getting food at one of our favorite restaurants that we usually don’t get to eat at because we don’t have one near us. We got home, we ate, said bye to daddy who had to go to work, and then we went to watch my nephew’s soccer game. 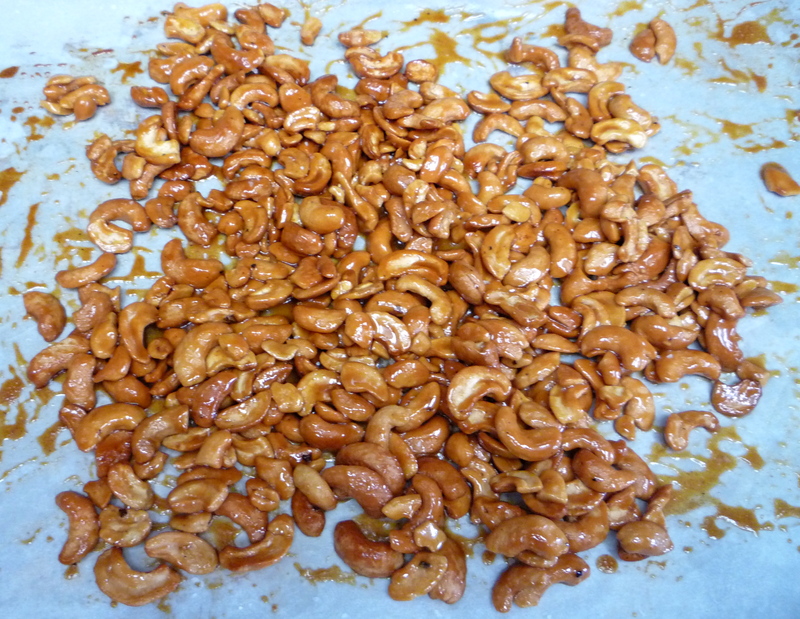 The cashews came into the picture on our way home. I had rented a movie for my Sarah the day before so I went and returned it and got two more for myself. Two just for mommy. I did offer to wait for the husband and watch with him but apparently he had taped some football to watch when he got home. So I got to watch my movies by myself. And what is a movie with out a snack? Salty and sweet perfection! And even though the recipe is SUPER simple, it is possible to mess them up. During my first batch I made a rookie mistake by not reading the ENTIRE recipe and I didn’t stir while baking and I burnt them a bit. So don’t do that. My second batch turned out perfectly. As always if you would like the recipe please buy Joy’s fantastic cookbook! Also, don’t forget to check out more of our little groups’ efforts by checking out Bakeaholic Mama‘s blog. GeekyLink for this week is the about the Guild. It is coming back for season six next week, October 2nd. Catch up on Netflix! Watch new episodes on the Geek & Sundry channel. Each season is only about an hour. Five hours is nothing when it comes to hanging with the best and coolest gaming guild EVER. 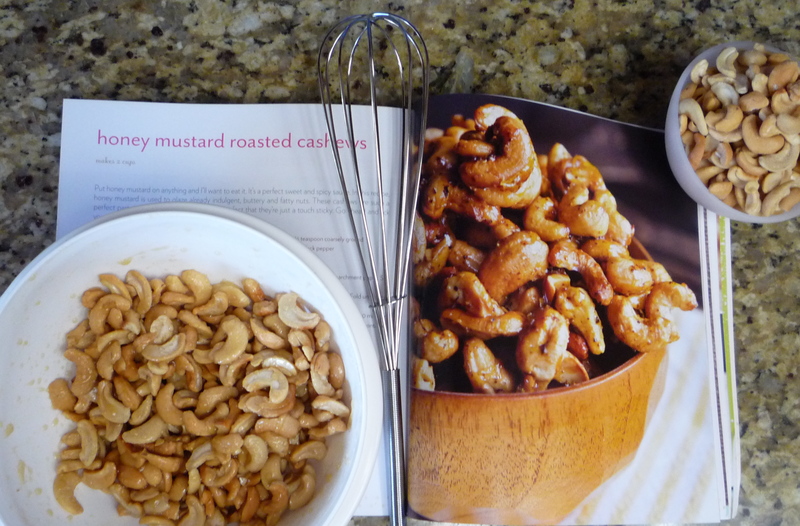 Posted in Appetizers, Baking, Food, Sundays with Joy and tagged Cashews, Honey mustard, roasted cashews, Sundays with Joy. Bookmark the permalink.